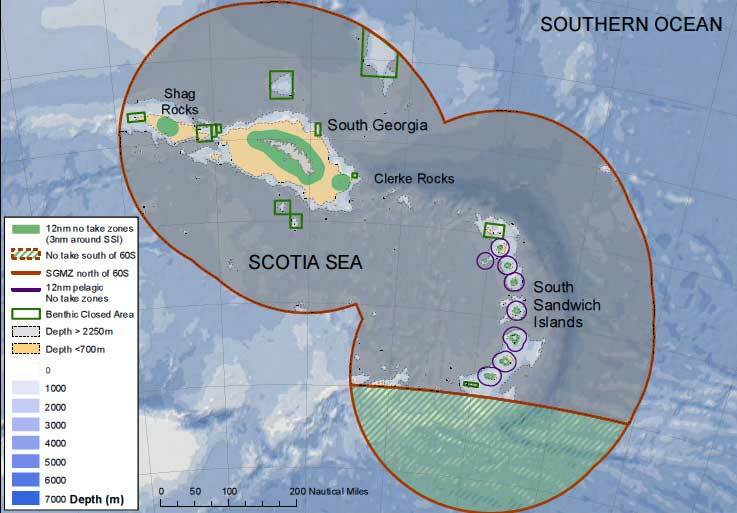 The first 5-year review of the SGSSI sustainable use Marine Protected Area is reaching its conclusion and the Government is pleased to share the report of the MPA Advisory Group. The report was compiled by Dr Colin Clubbe, the Independent Chair of the MPA Advisory Group, to synthesis the outcomes and advice provided by the Group through the MPA Review Process. The Government of SGSSI would like to take this opportunity to thank all those that took the time to be involved in the two MPA review workshops. The Government is grateful for the dedication and commitment they have shown to the task of reviewing each measure of our MPA, and to Dr Clubbe for presenting us with the recommendations of the Advisory Group. It is immediately obvious that the build-up of scientific evidence to support the measures currently developed is weighty, with over 200 peer reviewed documents contained in the background paper. It is now our task to consider the range of recommendations and determine what changes to management of our MPA we might wish to implement and why, and this should occur by the end of November. For further information regarding the Marine Protected Area and to download the report click here.